The ongoing efforts to reduce prescribing of opioids should have an effect on opioid treatment programs (OTPs), because some of the patients who are being told they can’t get prescriptions anymore are addicted, officials and experts told AT Forum last month. “I think OTPs have an opportunity here to partner with not just pain specialists, but with primary care doctors and others who prescribe these medications. It’s an opportunity to educate them about addiction and addiction treatment, and to partner with them as patients are being weaned off these medications,” said Robert Lubran, MS, MPA. Mr. Lubran is director of the Division of Pharmacologic Therapies at the Center for Substance Abuse Treatment of the Substance Abuse and Mental Health Services Administration (SAMHSA). “The doctor has to say, okay, if you are addicted to these medications, you have some choices, and here’s one—an OTP.” If the patient is physically dependent, but not addicted, that’s another matter—he or she would not be a good candidate for an OTP. Patients identified as abusing opioids should be referred to an OTP for evaluation and possible admission, said Mr. Lubran. “There’s a breakdown in communication between traditional medicine and addiction medicine, such as the OTP. The two areas don’t overlap, but at least the practitioners could collaborate.” Almost half the patients in OTPs started off being pain patients, added Mr. Lubran. Patients can also be referred to office-based opioid treatment with buprenorphine, but Mr. Lubran said that may not be in the best interests of the patient. The comprehensive services offered by OTPs may be needed. “A significant number of our long-term and/or older patients have chronic pain,” Ed Higgins, director of JSAS Healthcare, an OTP based in Neptune, New Jersey, told AT Forum. “It’s up to our medical staff to decide if we’re in the best position to manage their pain.” He added that in some cases it’s better to refer them to an outside pain specialist. Some patients come to the OTP as “pain patients” because they are ashamed to be identified as addicts, said Mr. Higgins. Usually it becomes obvious during the intake process that they are indeed addicted. “If they’re not addicted, we explain that we’re not licensed to treat pain as a primary indication, and we refer them to pain specialists,” he said. If the CDC guidelines result in a wholesale change in how physicians prescribe, some new patients will need OTPs and office-based opioid treatment (OBOT), said Mr. Parrino. Already, 30 percent of patients admitted to an OTP say they have pain that is unrelated to the pain of withdrawal. And of the 45 percent of new admissions to OTPs who report using prescription opioids, 30 percent say they inject their medication. 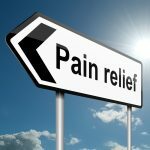 The American Academy of Addiction Psychiatry (AAAP) is opposed to having OTPs treat patients for pain, even as a secondary diagnosis. John A. Renner, Jr., MD, the new AAAP president, explained that to do so “would require a broad range of expertise in various medical specialties that is lacking in most OTPs. Patients would be better served by being seen in primary care or the relevant specialty,” he told AT Forum. In the real world, that collaboration may be hard to come by. The day before we interviewed Mr. Lubran, he’d received a call from an OTP program director asking for guidance. A methadone maintenance patient had been admitted to the hospital for an unspecified condition, and the hospital physician had taken over the methadone maintenance aspect of the patient’s care, prescribing the doses. This is illegal. The hospital physician tapered the patient’s dose. At some point he handed his practice over to another physician, who did not feel comfortable prescribing methadone. (As AT Forum readers know, it is illegal to prescribe methadone for an addictive disorder; methadone must be dispensed by an OTP). Edwin A. Salsitz, MD, DFASAM, an attending physician at Mount Sinai Beth Israel in New York City, was referred to us as the spokesman for the American Society of Addiction Medicine (ASAM) on the topic of OTPs and pain treatment. In addition to being principal investigator of the office-based methadone medical maintenance research project at Mount Sinai Beth Israel, Dr. Salsitz chairs ASAM’s Extended Release/Long Acting Opioid REMS training, and provides buprenorphine in an OBOT paradigm. A core aspect of his practice is evaluating patients to see if they are addicted to—or physically dependent on—prescription opioids, without meeting the criteria for opioid use disorder. Someone who started using prescription opioids for pain, then slipped into a gray area—free from pain, but unable to taper off opioid medication—needs to be evaluated. Dr. Salsitz specializes in this area. In treating opioid use disorder, once-daily dosing with methadone has been proven for more than 50 years to eliminate withdrawal symptoms and decrease craving. Using methadone to treat chronic pain requires giving a divided dose, three or four times a day, said Dr. Salsitz. When used properly, methadone is an effective analgesic. Due to methadone’s variable pharmacokinetics, prescribers should have specific training before prescribing it for pain. Although methadone accounts for only five percent of prescriptions written for opioids, it is implicated in 30 percent of opioid-related prescription overdose deaths.